Oloroso’s tapas isn’t just for nighttime any more. 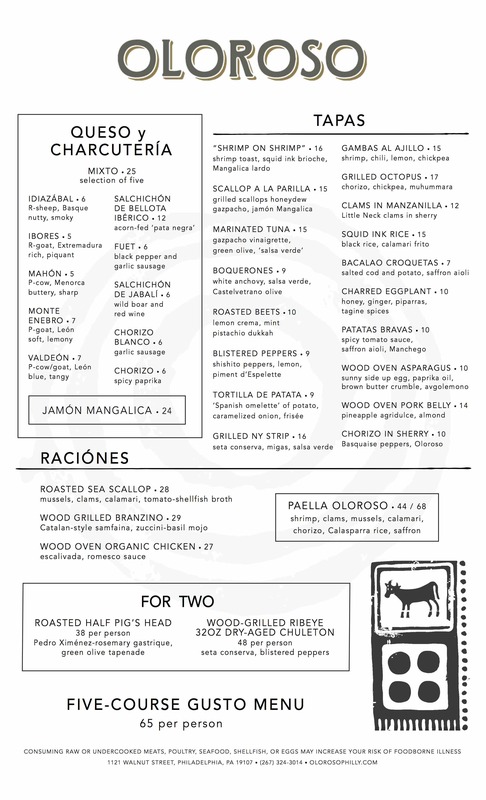 Townsend Wentz’s Spanish spot has expanded service to include lunch on weekdays and weekend brunch. Both new menus features tapas staples like Spanish cheeses and charcuterie, squid ink rice, marinated tuna, and that Best of Philly grilled octopus. Raciónes, larger protein-centric sharing plates, include marinated sea bass, roast chicken, grilled New York strip steak, and paella — saffron rice with shellfish, calamari, and chorizo. 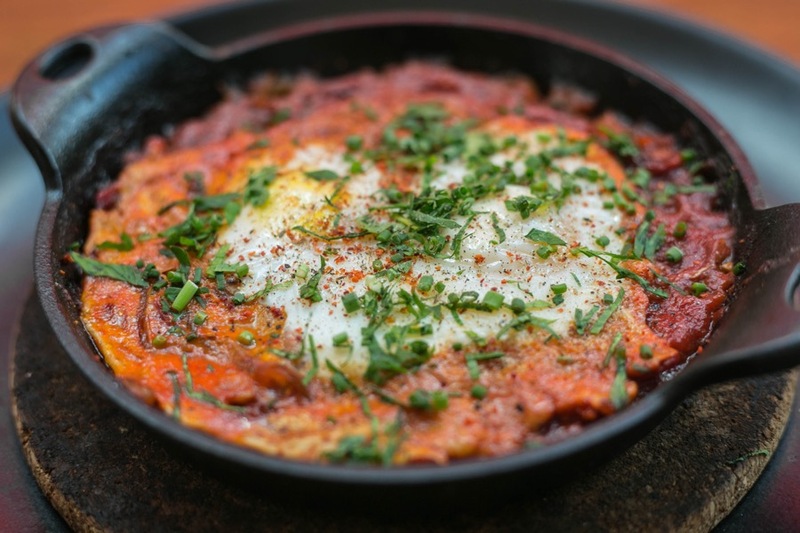 For brunch, they’re also serving shakshuka, churros with smoked cinnamon and chocolate sauce, and bayas con crema (berries with whipped cream). Drinks include a sherry-based mimosa with berries, a Bloody Mary with chorizo, and sangria made with white, red, or rosado wine from 2018’s Best of Philly bartender Allison Hangen. Wentz and his crew are also heading to the James Beard House in New York, where they’ll prepare a meal with the theme Tour de Fork: The Romance of France, Italy, and Spain, featuring the highlights from his three restaurants, on Monday, October 15th. 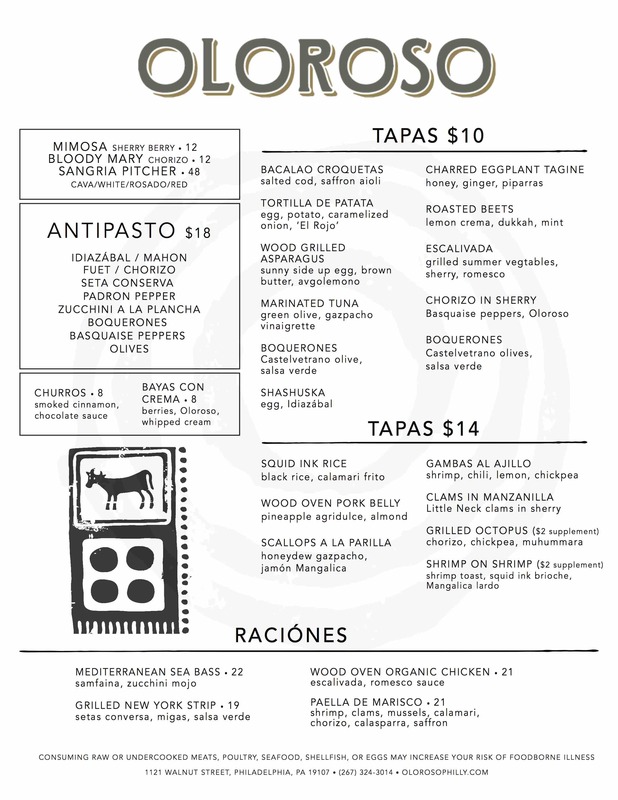 Oloroso is serving lunch Monday through Friday from 11:30 a.m. until 2:30 p.m. and brunch on Saturday and Sunday from 11 a.m. until 3 p.m. Check out the lunch and brunch menus below (click to embiggen). Tour de Fork: The Romance of France, Italy, and Spain: https://www.jamesbeard.org/events/tour-de-fork-the-romance-of-france-italy-and-spain?